In a new Microwave Outlook report, Ericsson has forecast major developments in the Microwave industry. It has identified trends and needs in the microwave industry. 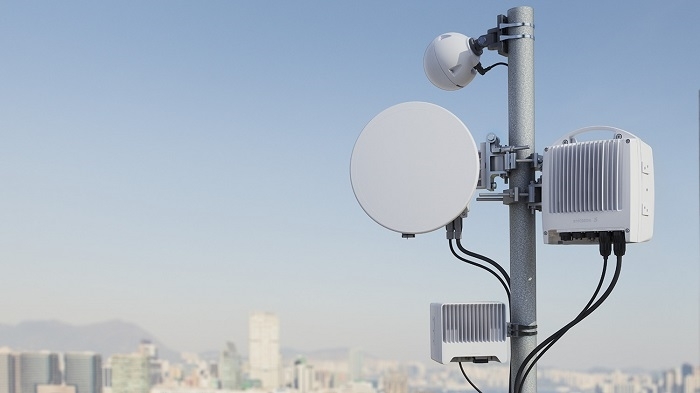 The increased demand for high-quality mobile broadband requires higher capacity backhaul. Network solutions for 5G will be a combination of fiber and microwave, and this report looks at the advantages and developments within microwave. Microwave is well-prepared to build transport networks for 5G and to meet future requirements in a cost-efficient way. Additional spectrum over 100 GHz will enable microwave to take the next capacity steps, breaking the 100-Gbps barrier. The market share for microwave is forecasted to increase due to the continued deployments of LTE and 5G. Due to the increasing number and size of LTE deployments in India, microwave share is now forecasted to be higher than previously estimated, exceeding 65 percent in 2022, excluding China, Korea, Japan, and Taiwan). The availability and usage of microwave spectrum for fixed services will go through a major transformation in the next 5 to 10 years. E-band (70-80GHz bands) for microwave transmissions enabling high-speed data transfers will grow in importance and in usage. E-band can now be used in more than 85 countries. Up next is an introduction of W and D bands (92–114.25GHz and 130–174.8GHz) for even greater capacity. Transport deployments of 10Gbps E-band links are already a reality. Over the next few years, the first 100Gbps links are expected to emerge from research labs using new frequency bands and Multiple-Input Multiple-Output (MIMO) technology for better spectrum efficiency, driven by rising traffic density and new, high-capacity radio interfaces in 5G.